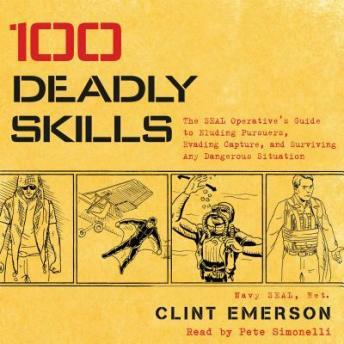 Listen to "100 Deadly Skills: The SEAL Operative's Guide to Eluding Pursuers, Evading Capture, and Surviving Any Dangerous Situation" on your iOS and Android device. It\'s really fun to hear the narrator get into the story just as much as I am. You can hear the disappointment and excitement as the story unfolds and I think that really brings out the human element in the adventure that us listeners are participating in with the narrator.